When you stay with us, you will find yourself ideally suited to enjoy some of the best shopping, dining and entertainment destinations that South Florida has to offer. The beach offers a beautiful Boardwalk, restaurants, and live music at the beach theater. Downtown Fort Lauderdale and the renowned Las Olas Boulevard is minutes away, and will keep you busy with some great restaurants and shopping as well. The Fort Lauderdale Swap Shop has been operating since 1963, and is the largest Drive-In movie theater and daily Flea Market in the world. 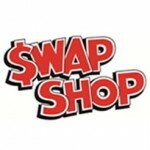 The SWAP SHOP grounds are conveniently located between I-95 and the Florida Turnpike, at 3291 West Sunrise Boulevard in Fort Lauderdale, Florida. South Florida’s most architecturally unique, authentic, and eclectic shopping and dining district. Stroll the boulevard, duck in and out of our cool breezeways, and be delighted by what you discover. 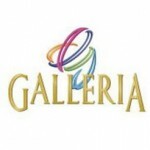 The Galleria is Fort Lauderdale’s most popular destination for fabulous restaurants, sophisticated stores and world-class service. 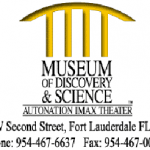 Spend a day of discovery exploring two floors of fascinating interactive exhibits at the Museum of Discovery and Science! See sharks and the largest living Atlantic coral reef in captivity, hang out with bats, be charmed by a 12-foot snake, plus pet alligators, turtles and iguanas. Test your pilot skills in nine cockpit simulators and learn about Florida’s amazing Everglades in the Living in the Everglades exhibit. Discover our place in aerospace at Runways to Rockets, our space exhibit, and take a simulated trip to the Moon or Mars. Make it a play date at the Discovery Center, designed especially for children under seven. 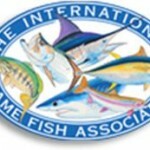 Come visit the International Game Fish Association Fishing Hall of Fame & Museum. 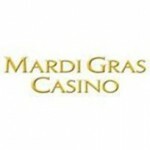 Mardi Gras Casino is South Florida’s premier casino and gaming destination offering a unique experience with over 70,000 square feet of casino excitement. The casino features 1,300 Las Vegas-style slot machines including new linked Progressive slots, video roulette, and virtual blackjack; action packed poker; simulcast and greyhound racing; and various dining options. Located in beautiful, sunny Hallandale Beach, on the corner of US-1 and Pembroke Road, Mardi Gras is a long standing South Florida hotspot, attracting both vacationers and locals for over 70 years! 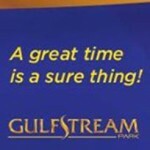 Gulfstream Park is a world-class entertainment destination. Offering Championship Thoroughbred Racing, Casino Entertainment, Premier Shopping and Fine Dining, Gulfstream Park has something for everyone. Southern Florida’s premier horse racing facility, Gulfstream Park has been offering exciting thoroughbred action since 1939. Located in Hallandale Beach, fans flock year round to this horse racing landmark annually from around the world. Slots, poker and all the casino action one can handle spread out over two casino floors, adjacent to the historic Gulfstream Park racetrack. 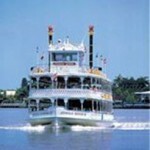 Take a ride on the World Famous Jungle Queen Riverboat. We have daily Sightseeing Cruises departing at 9:30AM and 1:30PM and a Bar-B-Que Ribs & Shrimp Dinner Cruise departing nightly at 6:00PM. 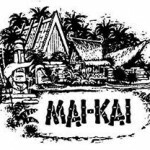 Opened in 1956, the Mai-Kai stood alone on the outskirts of Ft. Lauderdale. Now, over 50 years later, our little paradise features 8 Polynesian style Dining Rooms, Molokai Bar, Gift Shop, tropical gardens and an exciting Polynesian Revue. 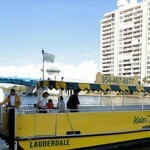 Explore South Florida from The Water Taxi. Your Water Taxi ticket lets you on and off all day while you explore the charming city of Hollywood, or cruise between Hollywood and Fort Lauderdale. 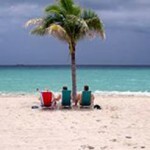 Enjoy Hollywood, Florida’s beaches, hotels, resorts, unique shopping and restaurants, whether you’re local or visiting from near or far. Year-round activities on the wide Broadwalk, historic Downtown and unique ArtsPark at Young Circle offer value, family fun and exciting nightlife with options for any budget or taste. Convenient trolley service, from Hollywood Beach to Downtown makes it easy to get out and experience it all.